CAUTION: DURIAN MIGHT NOT BE FOR EVERYONE! 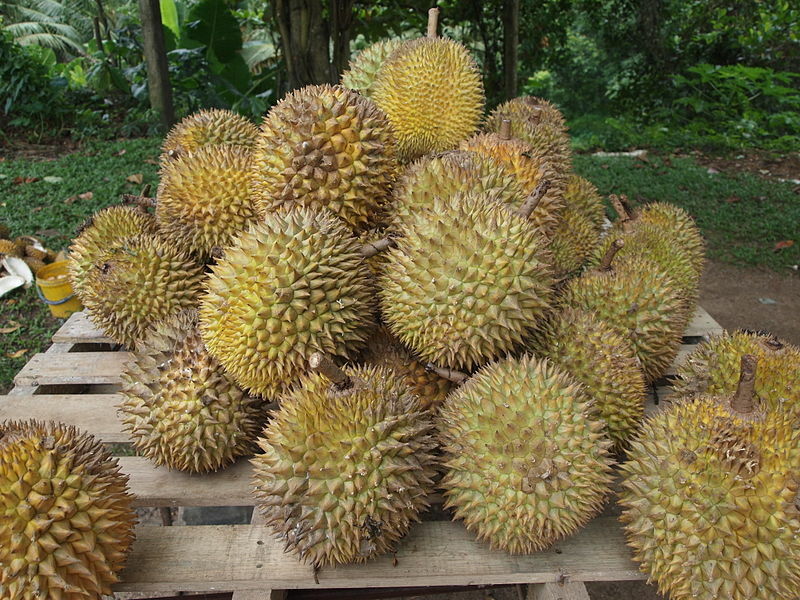 In Southeast Asian countries, durian is widely regarded as the “king of fruits”. Durian is the only fruit banned from airline cabins, hotels, and public transportation. The reason? It’s overwhelming, disgusting smell. It’s edible flesh emits a distinctive odor that is strong and penetrating, even when the husk is intact. Some people regard this unusual and intense odor as a pleasantly sweet fragrance; others find the aroma overpowering and revolting. Opinions range from deep appreciation to disgust: You Either Love It or Hate It! 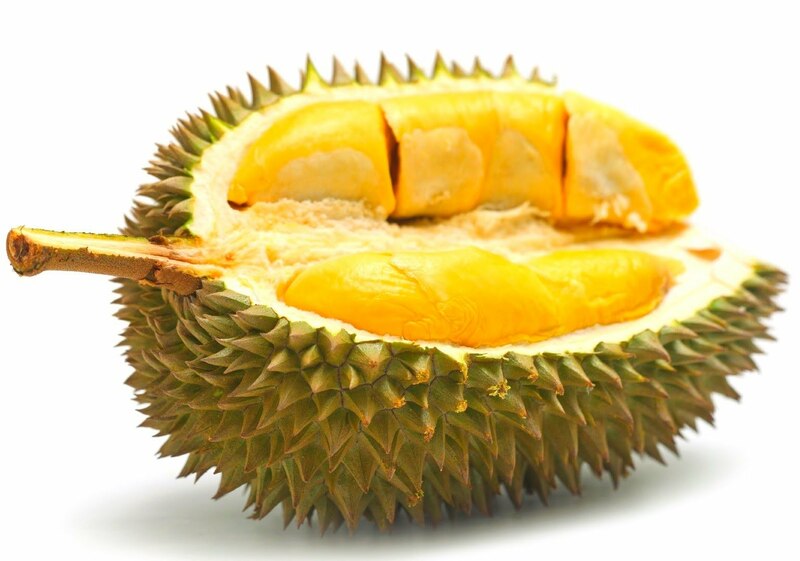 While it is a delicacy to many Asians, durian comes across as a biological weapon to most Europeans. So, what is it that makes this distinctively large, smelly, and formidable thorn-covered husk fruit the “king of fruits”? For durian lovers (like me), the fruit is delicious, soft, buttery smooth and succulent on its own. It is also used to flavor a wide variety of sweet treats such a traditional Malay candy, ice cream, and biscuits. Innovative bakeries have been inspired to concoct modern cakes and pastries sampling the durian. 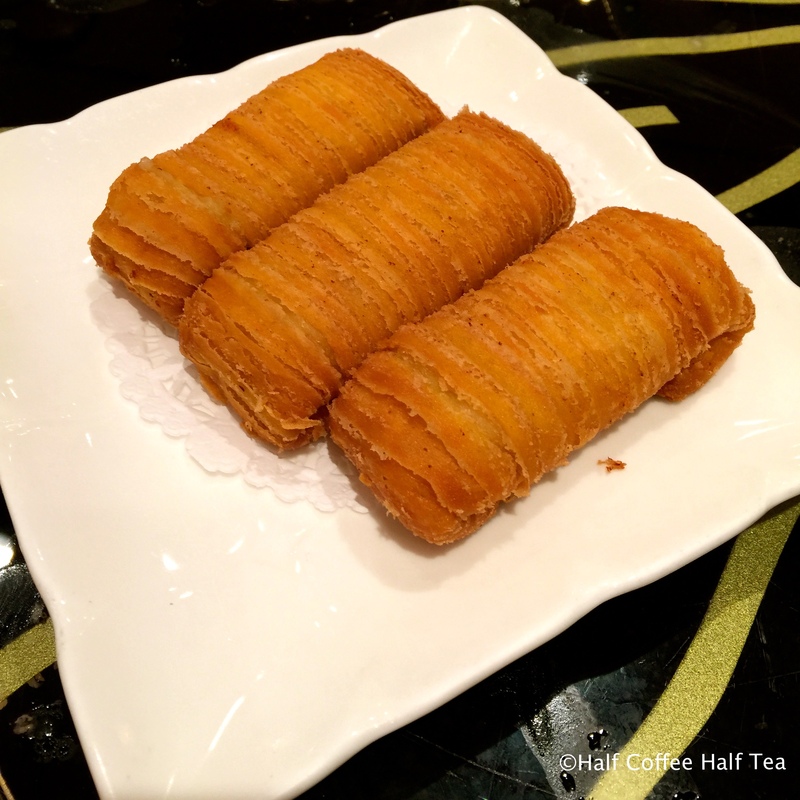 Sophisticated yet funky, durian pastries have gained more popularity than eating the durian by itself. You will still get the creamy and sweet taste of the fruit, but far less harassment on the nose. Put the melted butter and eggs into a blender and blend until emulsified. Add the flour, milk, sugar and salt to the blender and blend until smooth. Refrigerate overnight. Heat an 8-9 inch non-stick pan over medium-low heat until hot. Butter the pan, then use a paper towel to wipe out the extra butter. The surface of the pan should be slick, but there shouldn’t be any pools of butter. 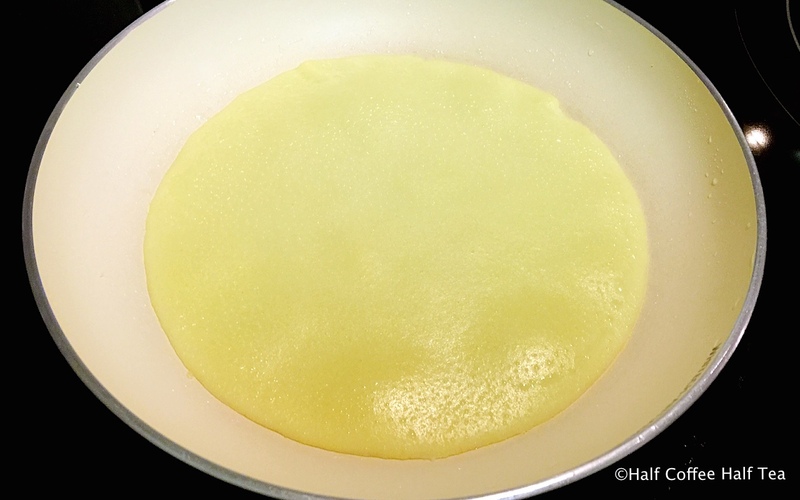 Add 2 tablespoons of batter to the center of the pan, and then quickly swirl the batter around to make a crepe the size of the bottom of the pan. If the batter solidifies before you’re able to spread the batter out, your pan might be too hot. Try keeping the pan off the heat for a few second before you add the batter. When the crepe no longer appears wet on top it’s ready to flip. Use the corner of a spatula to peel up an edge, and then carefully use your fingers and spatula to peel away and flip the crepe. 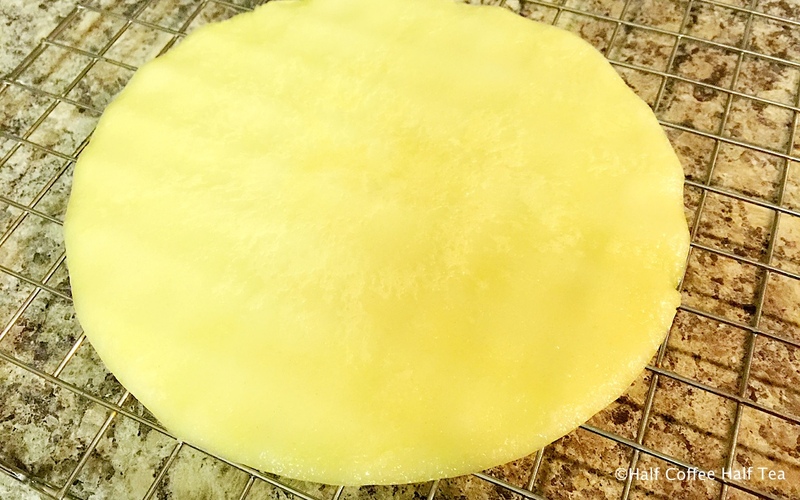 The edge of the crepe should be dry enough that it shouldn’t be too hot. The crepe should only need 15-20 seconds on the second side to cook through. Transfer the cooked crepe to a plate (stack the crepes on top of each other to prevent them from drying out), and then continue makin g the rest of the crepes. If the non-stick coating on your pan isn’t damaged you shouldn’t need to butter the pan again, but if the crepes start sticking to the pan, keep buttering the pan. Repeat until you have 10 perfect crepes. Make the cream while you wait for the crepe to cool completely. 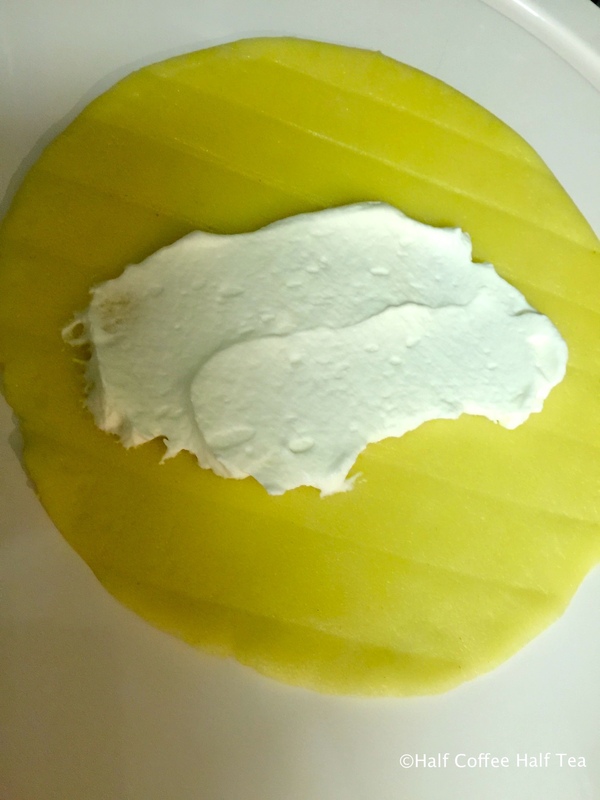 Whip the cream until it holds, then smash the durian and fold into the cream. 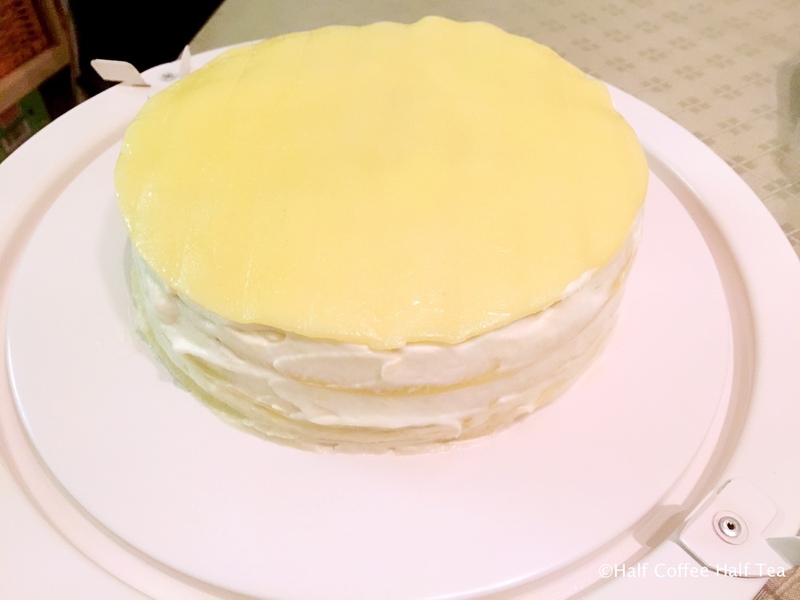 To assemble the cake, put a crepe down on a flat plate or serving platter, then spread an even layer of cream about the thickness of the crepe. 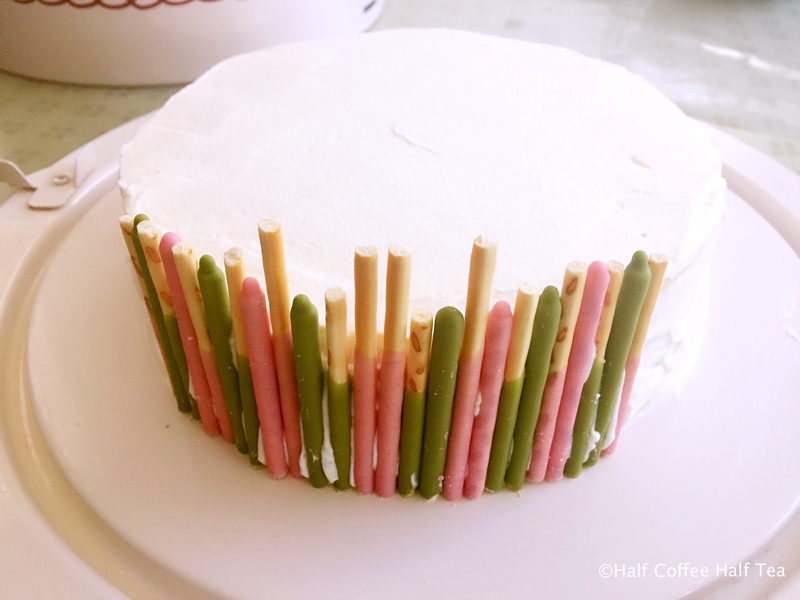 If you make the layer too thin, there won’t be enough cream in the cake. If you make it too thick, the cake won’t hold its shape when you go to cut it. There should be plenty of pastry cream, so don’t worry about running out, but don’t try to use it all. 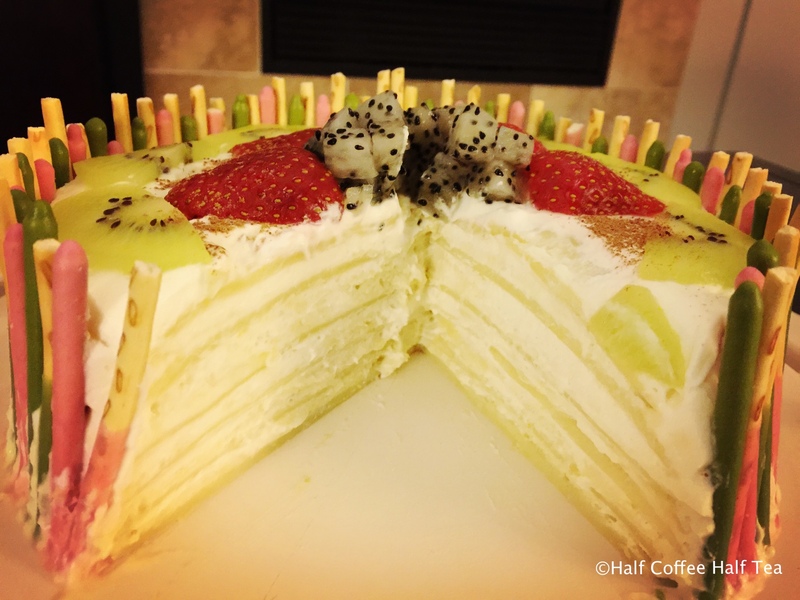 Continue layering, saving the best-looking crepe for the top layer. Once your cake is assembled, cover and refrigerate it for at least 4 hours or overnight to allow the moisture from the pastry cream to redistribute into the crepes. 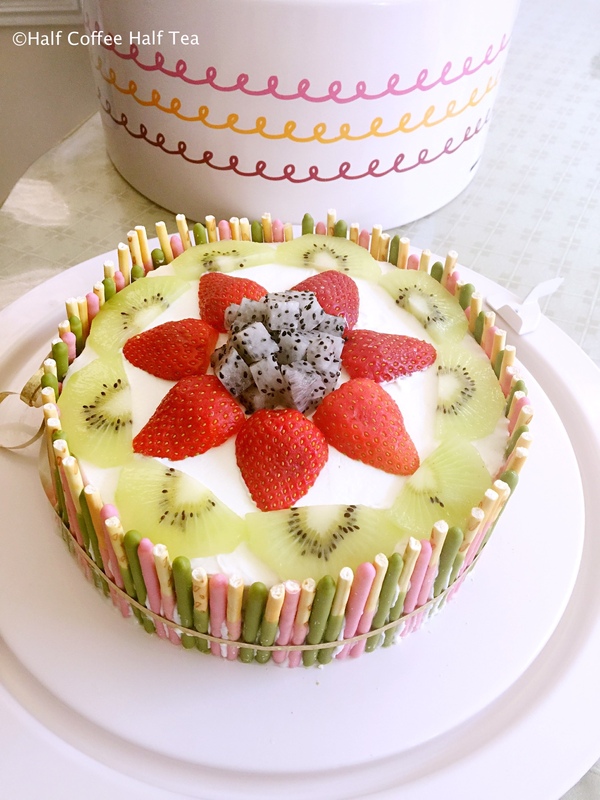 To finish the cake, layer the fruits on the top of the cake, and place the Pocky sticks on the side of the cake. Then Slice and serve immediately. REAL CAUTION: Durian fruit, when combined with alcohol, can trigger side effects such as strong gastro spasms and explosive flatulence. Haha. Thanks!! 😀 Glad to know there are more Durian lovers out there!